The TT21 system is the smallest, lightest, Mode S general aviation transponder. 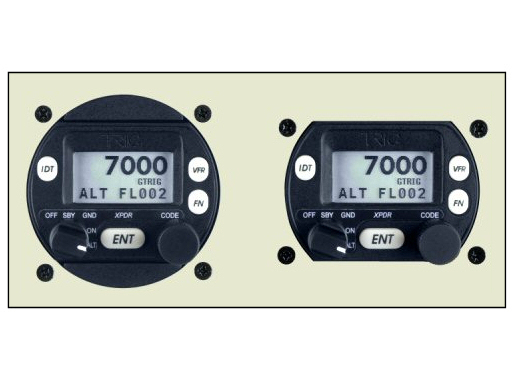 This two part system, which includes an integrated altitude encoder, can fit into the smallest of aircraft – and yet it is fully certified and compliant with all the transponder requirements. 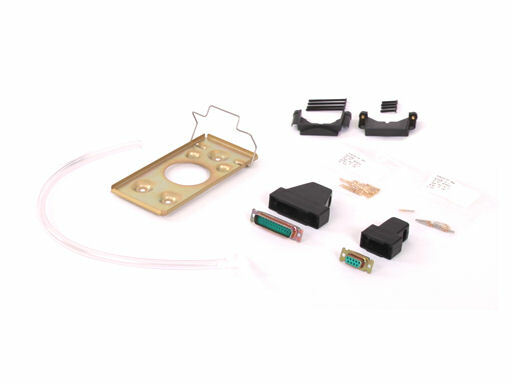 The front panel controller can be installed in a standard 2¼ inch instrument cut-out, or where space is really tight it can fit a compact cut-out just 45mm high. The TT21 transponder itself is also only 45mm high, and can be installed anywhere convenient in the airframe. 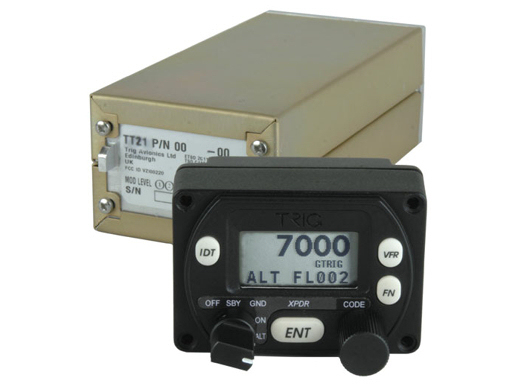 The TT21 transponder is an ED-73B Class 2 compliant Mode S level 2 datalink transponder, with support for extended squitter. It meets all the requirements for Mode S elementary surveillance transponders in Europe for aircraft flying below 15,000 feet and with airspeeds below 175 knots. It can be used for both IFR and VFR flight. The TT21 also supports 1090 MHz Automatic Dependent Surveillance Broadcast (ADS-B) extended squitter, known as “ADS-B out”. This provides improved airborne surveillance, vital information for airport ground surveillance, and is a key feature of future airspace plans. An appropriate GPS receiver is required to enable the ADS-B capability. The TT21 system can be easily fitted to aircraft even when there are space and weight constraints. The front panel controller fits into any panel, and takes less space than a standard instrument. Only a few centimetres are needed behind the panel to allow room for the connector and the static port interface. This means that the TT21 transponder is not just suitable for conventional light aircraft; it can be fitted into gliders, antique aircraft, and flex-wing microlight panels. The control panel is splash proof for open cockpit installations. A lightweight cable runs from the control panel to the transponder unit which can mounted anywhere in the aircraft. The transponder unit then connects to the antenna and aircraft power supply. A quick release latch secures the main unit to the mounting tray, allowing it to be easily removed for security. The TT21 has one of the lowest power consumptions for any transponder. With typical power consumption of around 5 watts, it can operate from battery power for gliders or balloons for long duration flights. In powered aircraft you can be sure that the TT21 is not making heavy demands on your electrical system. The front panel controller has easy to operate rotary controls, and a simple layout. The clear LCD screen shows the Squawk Code, reported Flight Level, and operating mode of the transponder. An altitude encoder is built into the controller, so no extra boxes are needed to complete the transponder system. Finally, the controller also acts as the configuration module for the combined system. With the controller remaining attached to the aircraft, swapping the TT21 transponder box is possible without needing any reprogramming of airframe settings. The TT21 system weighs less than 500 grams, with less than 100 grams in the front panel controller. For all aircraft low weight translates into more payload and better efficiency, but for microlight aircraft where certification weight limits are tight the low weight of the TT21 system may make it possible for the first time to fit a transponder.